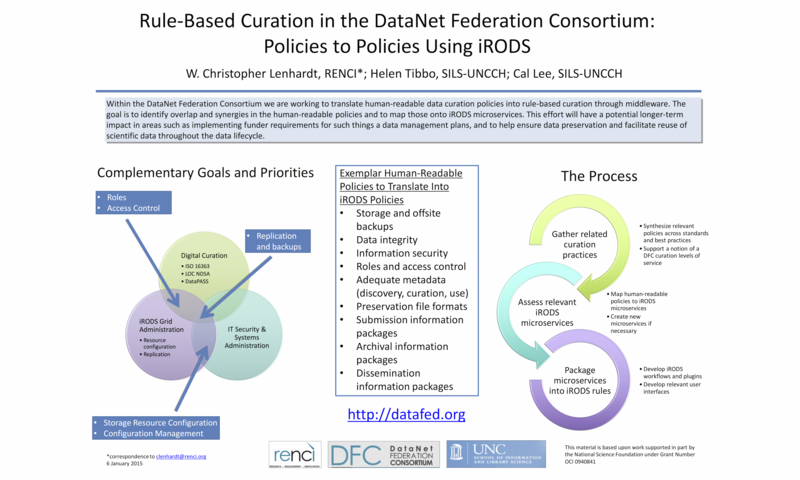 Within the DataNet Federation Consortium we are working to translate human-readable data curation policies into rule-based curation through middleware. The goal is to identify overlap and synergies in the human-readable policies and to map those onto iRODS microservices. This effort will have a potential longer-term impact in areas such as implementing funder requirements for such things a data management plans, and to help ensure data preservation and facilitate reuse of scientific data throughout the data lifecycle.